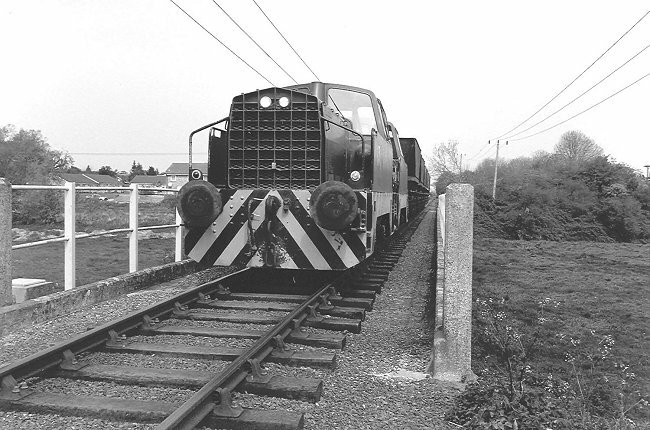 RPC Barrington - Diesel hydraulic locomotives 17 and 18 at the exchange sidings. 10th May 1991. 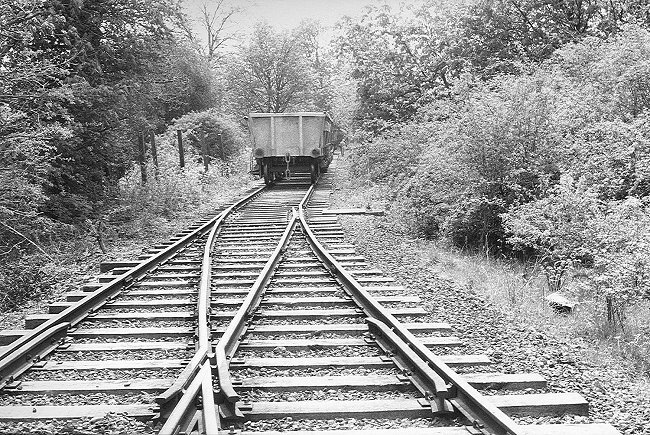 RPC Barrington - Internal use wagons stand on the dead end road of a turning triangle. 10th May 1991. 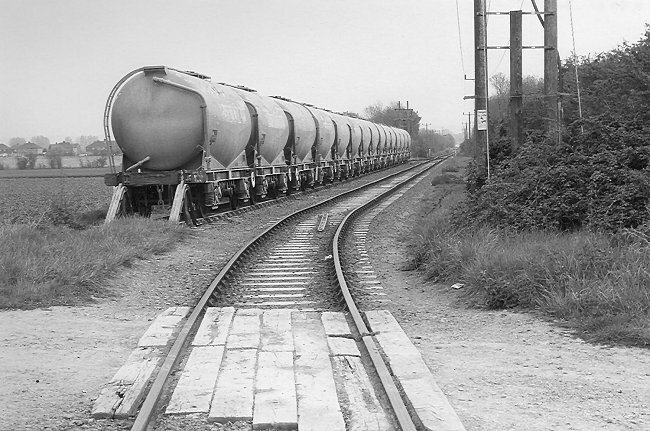 RPC Barrington - A string of Rugby Cement private owner tank wagons stands near the works. 10th May 1991. 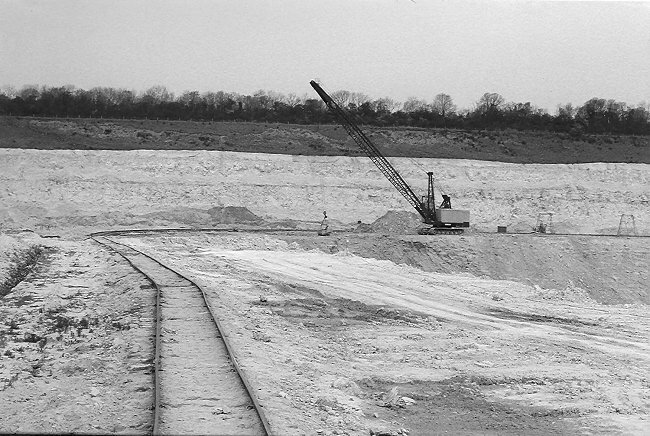 RPC Barrington - A view of the quarry. 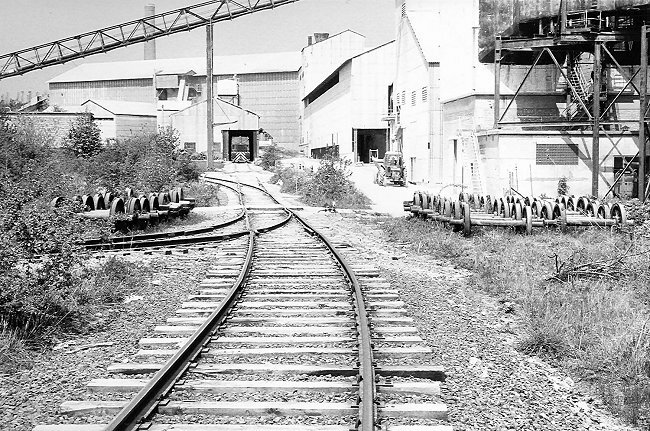 A train of loaded wagons has departed to the works and the excavator waits silently for the next train to arrive. 10th May 1991. 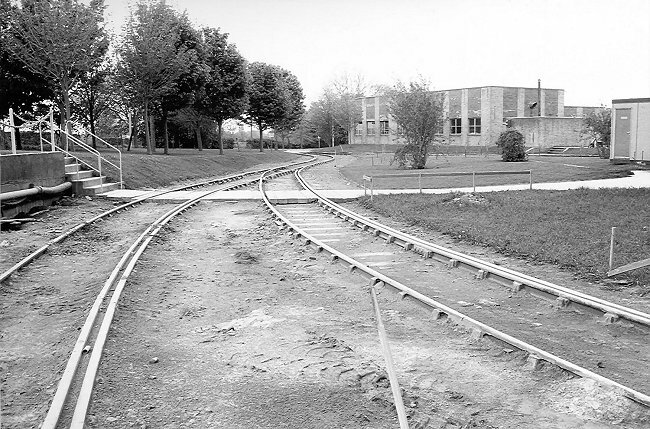 RPC Barrington - Looking from the main part of the works towards the exchange sidings. 10th May 1991. 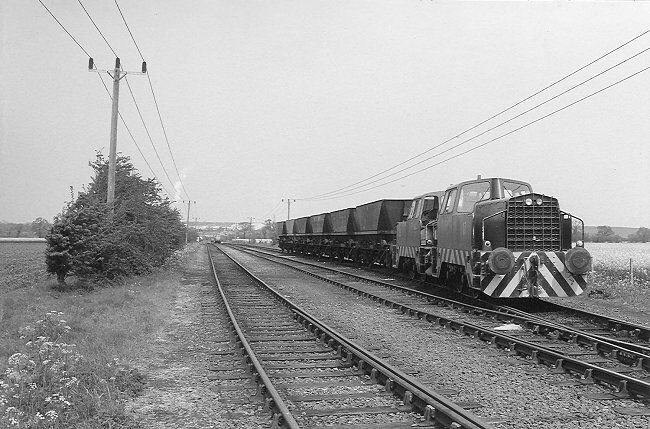 RPC Barrington - Diesel hydraulic locomotives 17 and 18 cross the viaduct on their way to the exchange sidings with empty coal wagons. 10th May 1991. RPC Barrington - Part of the works. 10th May 1991. 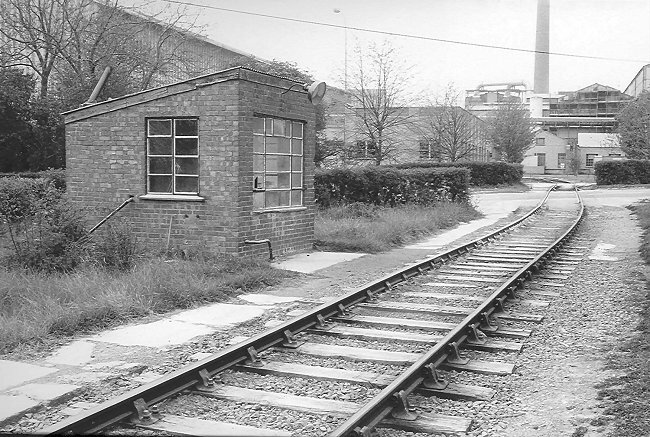 RPC Barrington - The former weighbridge house. 10th May 1991. 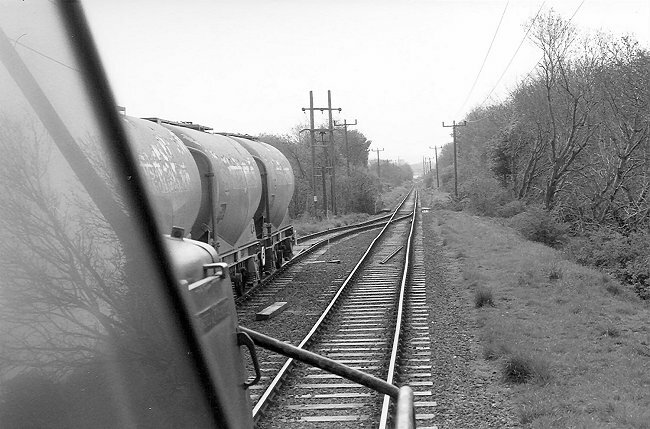 RPC Barrington - View from the footplate. 10th May 1991. 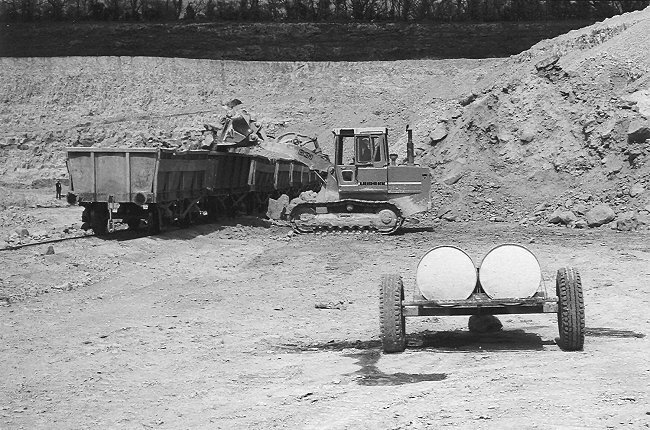 RPC Barrington - Internal use wagons being loaded at the quarry. 10th May 1991.